What is the Best Baby Carrier for Hot Weather? Hooray, you’ve got a trip planned to Thailand, the Maldives, Puerto Rico or another tropical place. 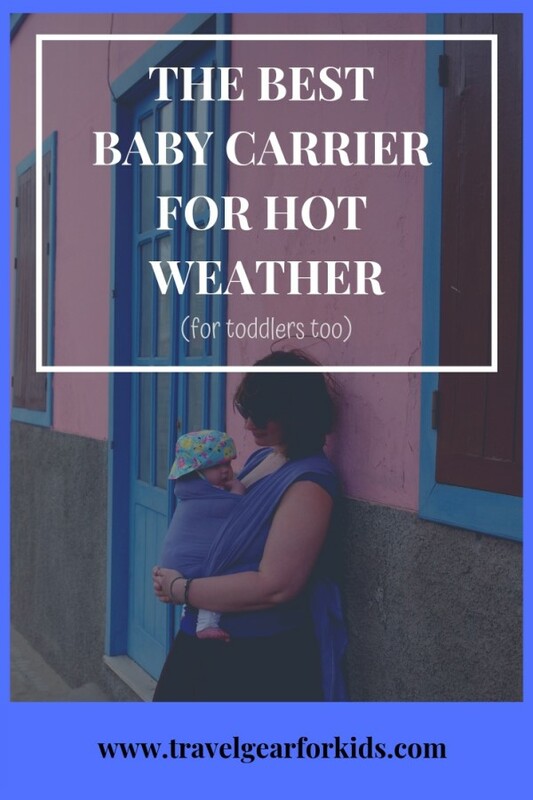 Because traveling is so much easier with a baby carrier, you want to know how to make baby wearing in a warm climate comfortable for both of you. Truth be told, it’s going to be hot anyway, because of the shared body heat. However, some baby carriers are better suited for hot weather than others. If you are planning a trip to the beach or the pool, it might be a good idea to consider a mesh baby carrier for water. Click here to read our blog post about the best waterproof baby carrier. If you would like to know more about baby carrying, read our article on the best baby carrier for traveling. THIS ARTICLE CONTAINS AFFILIATE LINKS. YOU CAN FIND MORE INFORMATION IN OUR DISCLAIMER. In a hurry? We consider the Ergobaby 360 All Positions Cool Air Mesh to be the best baby carrier for hot weather. Click here to check the price (and don’t forget your 10% discount with this code: jo8KbuYBBM). 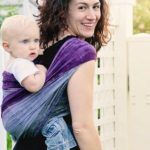 More into babywearing with a wrap? The Wrapsody Breeze is the best woven wrap for summer. Check designs and prices here and get a $ 10 discount! WHAT TO CONSIDER WHEN BUYING A BABY CARRIER FOR HOT WEATHER? TIP: The most important thing to think about when carrying your baby, is overheating. Make sure you always dress your baby appropriately and remember that your carrier acts as a layer of clothing. Dress both yourself and your baby in light and airy clothes. 100% cotton or linen are known to keep the body cool. Another option are sport or hiking clothes that are breathable and dry quickly. When you put a muslin cloth between your baby and yourself, it prevents things from getting too sticky. You can easily swap it out when it gets wet. Keep both of you hydrated. Water is so important in the prevention of overheating! Drink enough liquids and make sure to take regular (breast)feeding breaks when your baby is too small to drink water. Water can be used in other ways than drinking as well. Spray it on your baby’s feet and hands to cool down for a bit (don’t forget yourself either!). Make sure to stay in the shade or use hats to cover your and your little one’s heads. Wearing an umbrella works as well! You can use the sleeping hat of your buckle carrier or the tail of your ring sling to keep your baby’s face out of the sun. If you are babywearing with a wrap, choose a carry that has as few layers of fabric as possible. You can practice your single layer carries here. A good alternative is a ring sling, which always has just one layer of fabric. Take regular breaks in the shadow to cool down! UV Protection: Some baby carriers for hot weather include UV protection, so this might be a good option when your baby is too young to wear sunscreen and you’ll be walking in the sun a lot. Coverage: a lot of carriers come with a kind of hat, either a piece of fabric which you can button to your carrier or an actual hoody. You can easily hide your baby’s face from the sun with them. It serves as rain protection as well and it makes sure the neck is supported if they fall asleep. Ventilation: some carriers come with zippers to allow extra ventilation. Fabric: the best fabric for hot weather is something light and breathable. Linen and 100% cotton serve this purpose really well. If you’re going for a full buckle carrier, you can opt for one with a mesh lining. Some wraps and ring slings are even completely made out of mesh fabric. An added bonus is that these kind of carriers are waterproof as well. Back Carry: if your baby is old enough to be carried on the back (when they can sit independently, usually around 6 months), this is definitely the option of your choice. It just feels a lot less sweaty when you have your baby on the back. Color: it may sound obvious, but dark colors attract the sun. So if you’re planning on traveling to a warm climate, opt for a white, beige or brightly colored one. 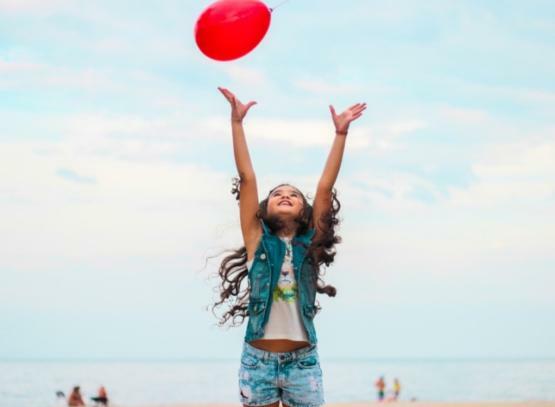 Water: if you like to spend a lot of time in or near the water, it might be a good idea to choose a carrier that is designed for water activities. A fast drying fabric is more comfortable for both of you. They especially come in handy when you want to go swimming with a little one while you must have your hands free for an older sibling. TIP: You can find our blogpost on the best waterproof baby carrier here. A lot of people choose a buckle carrier because they are super easy to use. TIP: If you are not sure which type you prefer, check out our blog post on the best baby carrier for travel. We’ll explain everything from buckle carriers to rings slings, wraps, mei tai’s, toddlers carriers etcetera. Are you interested in the best baby carrier for toddlers? Scroll down, we’ve got a whole section of this article devoted to babywearing a toddler. 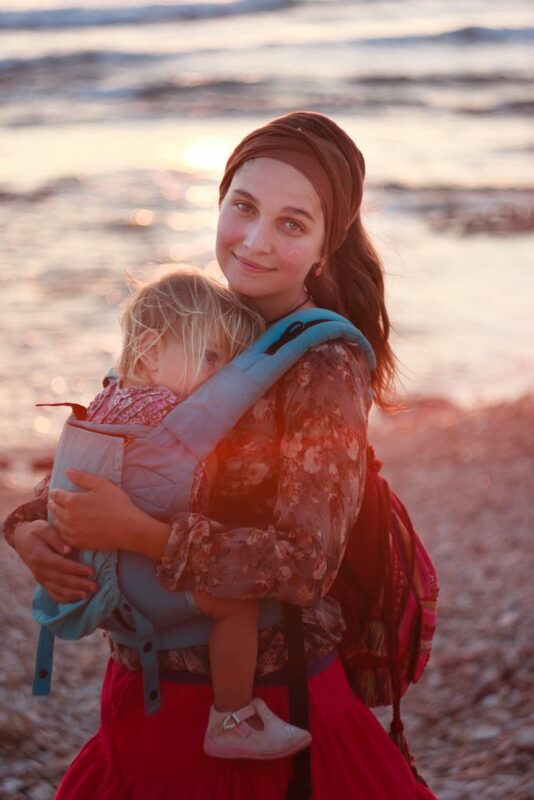 This Ergobaby carrier might well become your best travel buddy. 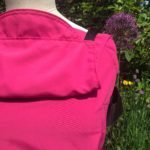 It is lightweight, comfortable and comes with a mesh back panel, so it’s the perfect baby carrier for summer. The big waistbelt is stiff (which can be a downside if you’d like something that folds small) and gives really great support. You can easily carry your baby on the front, the hip and the back. 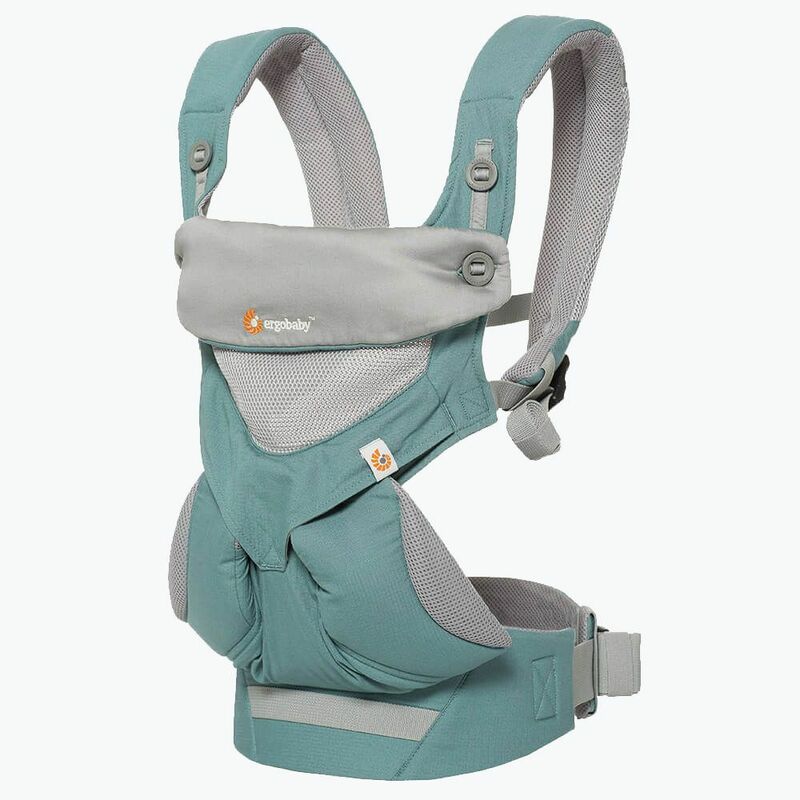 Unlike other mesh baby carriers, the Ergobaby makes its shoulder straps in mesh fabric as well! Another feature is the UPF 50+ sleeping cover. It can be used from 4 months (or newborn if you use an insert, but that will be HOT, with the Original or 360 All Positions) or newborn (with the Adapt or Omni 360) up to 45 lbs (20 kg). Although we experienced that the Ergobaby didn’t offer sufficient support to our daughter’s knees anymore around 18 months. We’d recommend a decent toddler carrier for older children. TIP: We do not recommend outward facing positions on this website because they are usually not ergonomic. The Ergobaby 360, however, is in fact ergonomic. 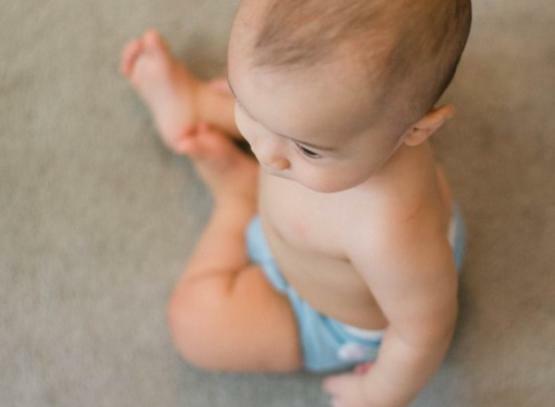 Just make sure you wait until your baby can sit unassisted and has sufficient neck control. On top of that, be aware of over-stimulation! Turn your baby in time back to you for comfort and rest. 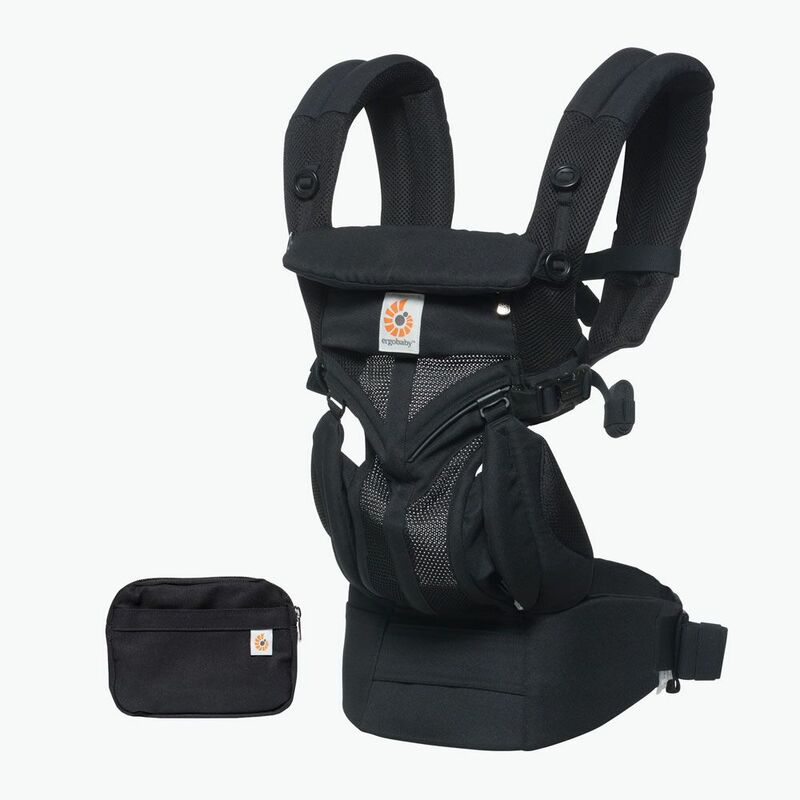 The Ergobaby Original Cool is available in graphite and charcoal. Be aware that the former only has a very small pocket that stores the hood, while the latter offers the promised X-large storage pocket. For you to decide whether you prefer a complete mesh carrier to keep your baby cool or you like that space to hold your keys and phone. The Original Cool is no longer available on the Ergobaby website, but you can still buy them on Amazon. 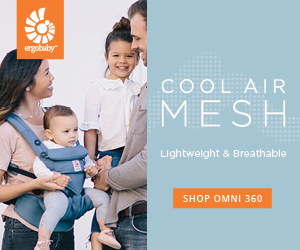 The Ergobaby Adapt Cool is made from the same breathable mesh fabric, but like the regular Ergobaby Adapt, you don’t have to use an insert for a newborn. This is the best choice if you are looking for the best newborn carrier for summer. It is available in black only when you buy on Amazon and in grey, blue and black when you buy them on the Ergobaby website. Use jo8KbuYBBM to get a 10% discount at Ergobaby.com! It is no surprise that one of the most famous baby carrier producers offers a version for keeping your baby cool in hot weather. As with the other Tula carriers, it is comfortable and durable. What makes it tropical-resistant is the mesh panel on the back and the mesh hood, leaving room for air to brush in. The Tula Coast has a big pocket on the waist belt and additional padding at the leg openings, the shoulder straps, and the waist belt. This baby carrier for hot weather can only be used for front and back positions. Tula Coast carriers come in 3 different types. The standard Coast can carry babies from 15-45 lbs (under 4 months with additional baby insert). The toddler Coast can carry your child from 25 lbs and up. Click here to go to the toddler section of this article. The Free-to-grow Coast mesh carrier can be used from newborn until toddler. Unfortunately, very few coast mesh carriers are available. On the Baby Tula website, there are only 4 different carriers to choose from: 2 free-to-grows and 2 toddlers. It makes us wonder if they plan to continue with the production, or not. Buy the free-to-grow Coast on Amazon! The Lillebaby Complete baby carriers really are all-in-one carriers! They adapt to your growing baby, so you can use them with your newborn up to 45 lbs without a separate infant insert. With the Lillebaby you can carry your child on the front, the hip and the back (and even face forward, if you’d like that). The Lillebaby Complete All Seasons is, as the name states, designed to be used in all weather conditions. The back panel can be zipped down, leaving only a breathable mesh panel. This makes it a good baby carrier for hot weather, while you can still use it in colder climates as well. If you are looking for one very good versatile carrier, this is the one! This carrier comes is available in no less than 21 different colors and prints. We recommend this as the best baby carrier for a summer newborn! The Lillebaby Complete Airflow is your perfect partner in crime when traveling to warmer climates. It has all the advantages of the All Seasons, except that it’s made out of a mesh fabric. This way it provides airflow for both yourself and your baby. Available in 18 colors, you’ll definitely find one to your liking. The Boba 4G baby carrier is not specifically designed with hot weather in mind, but as it is made from a very breathable 100% cotton fabric, it still belongs in this list! Thanks to the incorporated infant insert, you can carry your baby from infancy up to toddlerhood. Therefore it is one of the most versatile baby carriers on the market. The multiple pockets come in handy to put away some small stuff like your wallet and phone. The carrier has a sleeping hood for when that sleepy dust hits. The first is the quick release breastfeeding buckle, which is very useful when your little one decides it’s feeding time. Secondly, you receive foot straps which you can snap onto your carrier when your child is getting bigger. This way they can stay in that important M-position even when their legs are getting taller and the seat isn’t knee to knee anymore. The Boba 4G carriers are available in 7 designs on Amazon and in 11 on the Boba website! The Integra Solar is the perfect waterproof baby carrier for pool fun, playing at the beach or for a hot summer day! It’s cotton-like feel fabric blocks 95-99% of the UVA and UVB sunrays, making it very sun-protective. Further protection is offered by a large sun/sleeping hood, which you can snap on to the shoulders traps with small buckles. The Integra Solar is perfect as a hot weather baby carrier and to use in the water (ocean, pool, light rain or shower). But it is so versatile and comfortable that you can actually use it in all seasons. The baby carrier comes in 3 sizes, making it the only waterproof toddler carrier and goes even up to preschool years! Size 1 is suitable for babies from birth until about 2,5 years. Size 2 will suit toddlers from 18 months up until 3,5 years. While size 3 is for the bigger kids from 3 to 5 years. We are completely in love with the Integra Solar. It is definitely the best waterproof soft structured carrier on the market. In contrast to the other baby carriers for water use, you can use it as your daily (travel) carrier as well. Buy the Integra Solar here and get a $10 discount and free shipping! If you are looking for the best ring sling for summer, we’ve got some great news for you: all ringslings are airy, light and easy to travel with as they consist of only one layer wrapped around your baby! 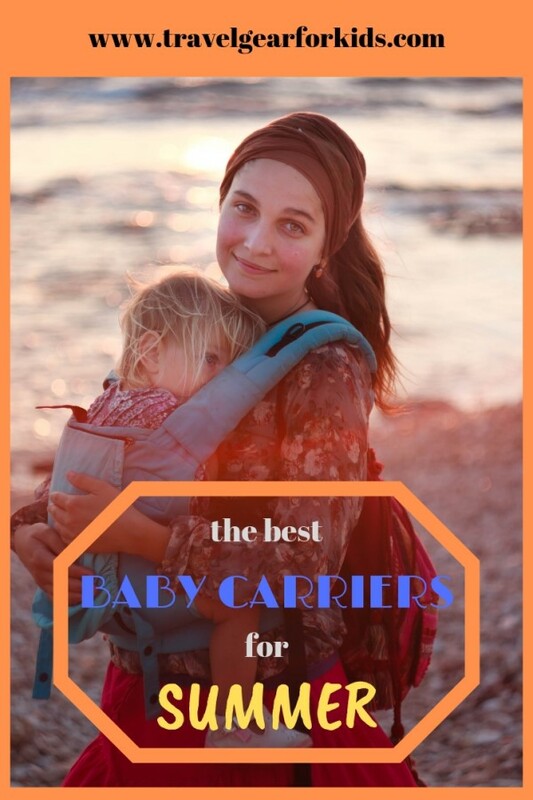 TIP: If you want to learn more about ringslings and why they are the perfect travel assistant, check out our guide to the best baby carrier for traveling. They’re perfect for hot weather because you usually carry your baby on the hip, which allows more coolness between the two of you. They come in a variety of blends, so you can opt for cooler fabrics like linen or silk to make them even more heat-resistant. The biggest downside of a ringsling is the fact that you mostly carry on the hip (little babies are carried in front and in theory, it is possible to back carry as well) and that means all of the weight is put on one shoulder. Therefore it is not the kind of carrier you want to use for hourlong walks. However, it is absolutely lovely for strolling around or when you have an overactive toddler that loves to get in and out every 50 meters. This beautiful baby sling is made out of bamboo and linen and because of that blend, it is a perfect summer infant carrier! It has a silky feeling to it, which is cool on the skin and is easy to adjust through the rings. Therefore it is a perfect ringsling for beginners! 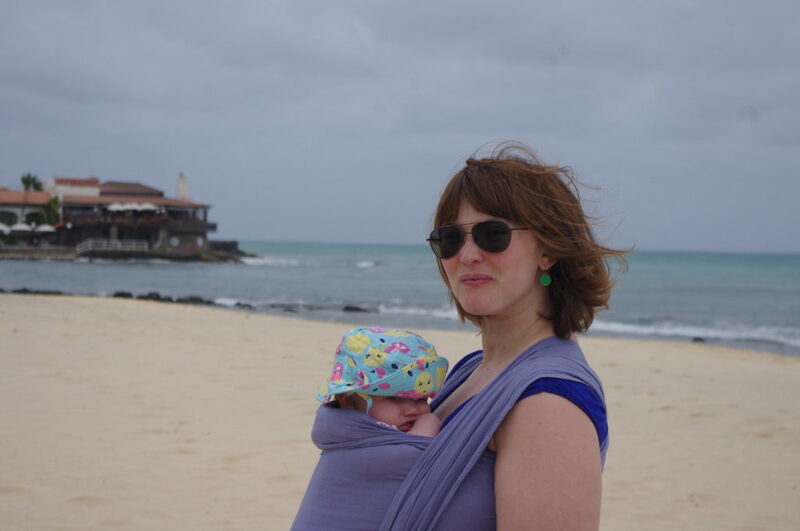 Add this lightweight ring sling to your packing list and you’ll be a very happy babywearer on holiday! The sling is available in 8 lovely colors. And to top that all of: 5% of the profits go to a charity that supports low-income families in Costa Rica! Calin Bleu ringslings are made from a double layer of breathable and comfortable cotton gauze fabric. The aluminum rings are triple stitched into the fabric for extra strength. This baby sling for hot weather comes in a variety of light and darker colors. If you are watching your wallet, these ringslings are the perfect match. Our daughter was only 4 months old when we traveled to Cape Verde. 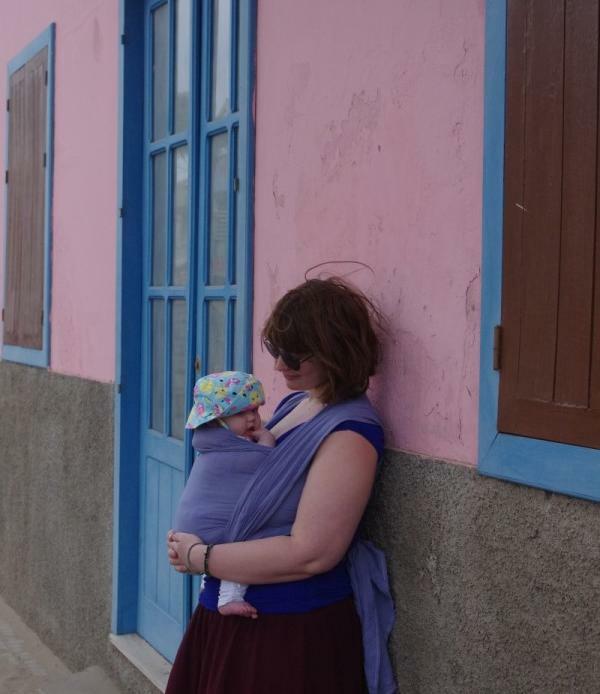 We loved the Calin Bleu as a lightweight baby wrap for summer! Like the Beachfront Baby Wrap, this summer baby sling is specifically designed for hot weather and water use. The mesh baby sling is lightweight and the aluminum rings guarantee safe carrying. And what is absolutely great about this, is the fact that it is made with 100% recycled polyester! It can hold children from 8-30 lbs (3.5-13.5 kg) and is available in 3 sizes: a standard, a petite and an XL (depending on your t-shirt size) and a whole bunch of different colors. The best thing about this mesh ring sling is that it is useful not only in hot weather but on the beach, in the pool or in the shower as well! The very popular Moby wrap is available in a cooler version as well: the Moby Wrap Evolution! It is made from a blend of 70% bamboo and 30% cotton, which makes it feel a lot cooler on the skin. 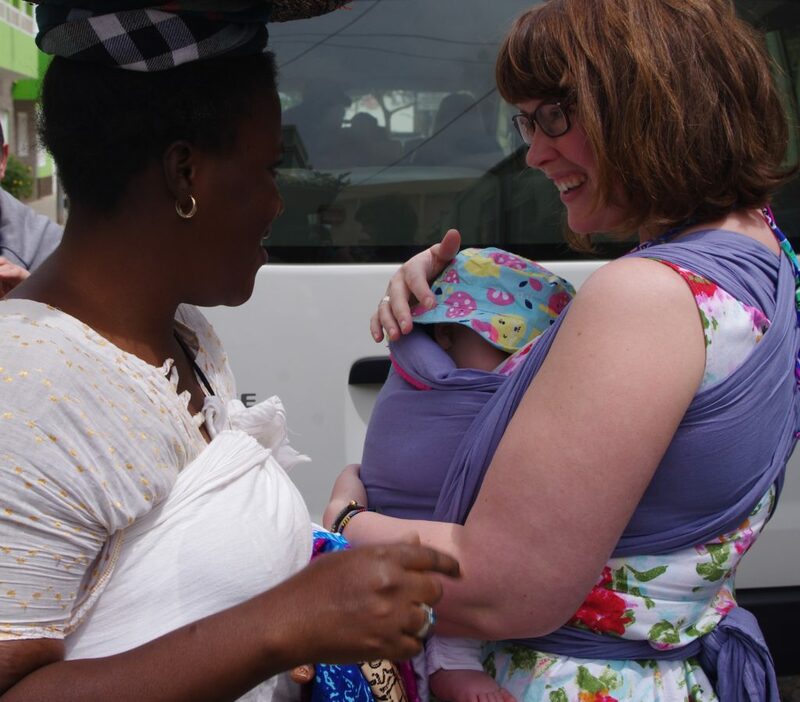 Babywearing your newborn is heavenly with a stretchy wrap, as they can snuggle up soft and comfortably. They are easier to tie than a non-stretch wrap, which makes them great for beginners. On the downside, with a stretchy wrap you always need 3 layers to support your baby. For that reason, it will never be super airy. But it is still a good option to wear your newborn baby in hot weather. The Beachfront Mesh Baby Wrap was designed by work at home moms and features a mesh fabric that’s capable of keeping you and your baby cool in the heat. 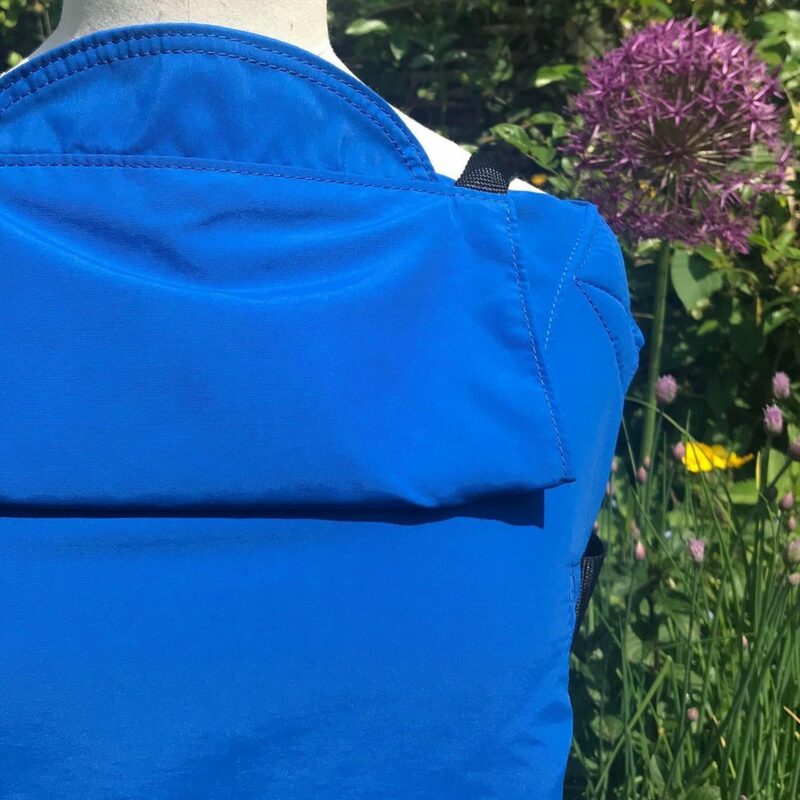 Thanks to the mesh fabric it is a lightweight summer baby wrap, which makes it a great travel companion as it can be used both in and out of the water. It is a stretchy water wrap that can hold children from 8-30 lbs (3.5-13.5 kg), however since it’s stretch you might not be comfortable wearing bigger kids. The Beachfront Baby Wrap is available in 3 sizes: a standard, a petite and an XL (depending on your t-shirt size) and in a whole bunch of different colors. This woven wrap is both lightweight and made from cotton gauze making it the perfect combination for families traveling to hot climates. It is quite unanimously stated to be the best baby wrap for hot weather. Because they are woven wraps, you can comfortably wear your baby from birth to toddlerhood. At the end of the wrap, they’ve inserted a pocket which can hold the wrap itself (very useful for toddlers who want to walk by themselves occasionally!) or some lightweight items when you are carrying your baby. The only downside of this wrap is that you need to knot more precisely, while thicker wraps tend to be a bit more forgiving with sloppy knotting. This baby carrier for hot weather comes in a lot of funky designs. Choose your favorite Wrapsody Breeze here and get a $10 discount and free shipping! This wrap was specifically designed for water use and has been re-engineered recently. This waterproof baby carrier is made from the same fabric (with 100% recycled yarns!) as a running shirt and is therefore very comfortable for traveling in hot weather and playing in the water. The new design is super lightweight, super soft and offers sun protection. As it is a stretchy wrap you can only use it as a front carry. Like the Wrapsody Hybrids, the stretch is only one way, which makes it slightly less stretchy compared to other stretchy wraps. BUT you’ll be able to wear a bigger child without sagging and that’s a big plus! The WrapDuO is available in the original blue version and the newer black pearl design. Buy the Wrapsody WrapDuO here and get a $10 discount and free shipping! The Calin Bleu wraps are made from 100% cotton gauze and are probably the lightest woven wraps you can find. They are a perfect baby wrap for hot weather as they will keep yourself and your baby cool while walking around in a warm climate. This lightweight baby carrier for summer is super portable, especially when you compare them to other woven wraps. The baby carrier is available in 4 sizes: the Short, for experienced babywearers that want to use single layer carries and a Medium, Long and Extra Long depending on your size. You can pick your favorite out of a lot of pretty colors! Unfortunately, it is not (yet) possible to order a Calin Bleu wrap in the US or Canada. Even though the brands state that their carriers allow up to 45 lbs, as your child gets older they won’t be comfortable anymore in a regular baby carrier. A 2 or 3-year old still gets tired very quickly, especially in the heat. Therefore, a toddler baby carrier is not an unnecessary luxury! 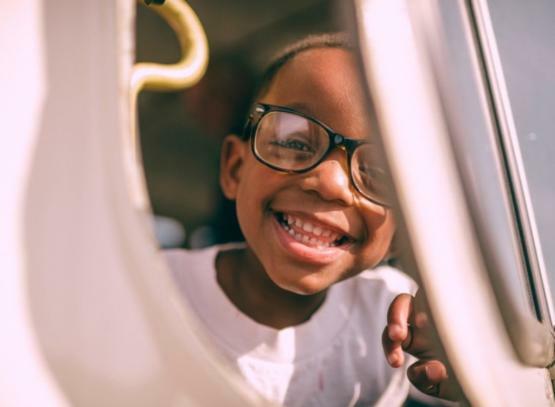 When it comes to the best carrier for a toddler in summer, the same rules as above mentioned, apply: stay in the shade as much as possible, hydrate and take regular breaks. A lot of people prefer a soft structured carrier for toddlers over a wrap or sling because those tiny walking humans tend to run around, hop in, hop out and repeat. Can you imagine tying your wrap a zillion times in 86 degrees? If you do prefer wrapping your toddler, choose a woven wrap to prevent shoulder and back pain. Click here to take a look at the best wraps for hot weather. A ring sling can be very useful, especially with an active toddler. Sitting on the hip is probably a child’s favorite position and it’s a lot easier to do so with the support of a sling than just your arms. Ringslings are one size only, so take a look here to pick the best one for you. 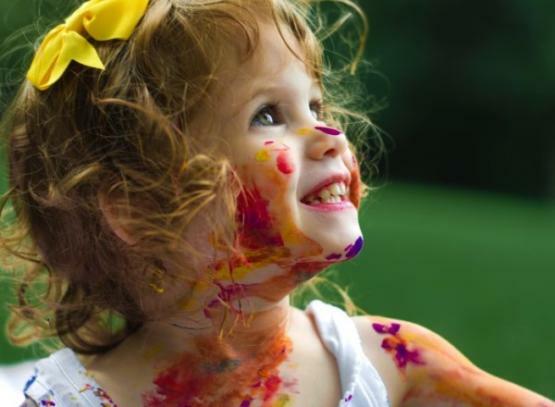 TIP: Children love to imitate their parents. Get your little boy or girl their very own doll baby carrier. 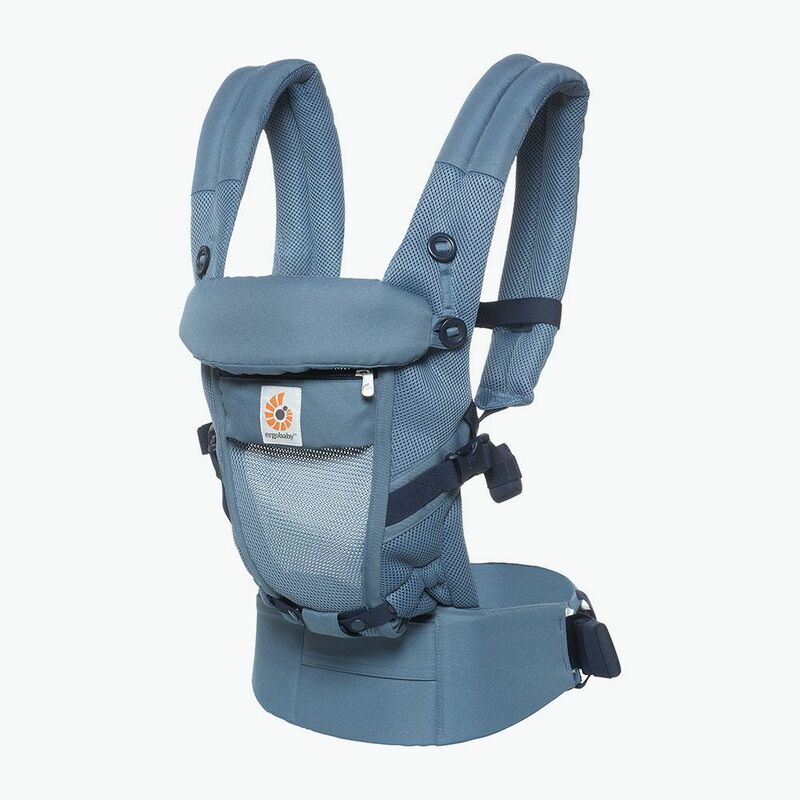 Check availability and price at Amazon , Boba.com or at Ergobaby.com (don’t forget your 10% discount: jo8KbuYBBM). The Lillebaby CarryOn is suitable for children from 20 up to 60 lbs (9-27 kg). Like its smaller brother, the toddler carrying backpack has 3-way adjustable straps, a removable hood and features 2 pockets. The biggest plus of the CarryOn is its wider and taller torso, which keeps even taller children comfortable. TIP: We consider this the best toddler carrier for hot weather! The Lillebaby CarryOn All Seasons is, as the name states, designed to be used in all weather conditions. The back panel can be zipped down, leaving only a breathable mesh panel. This makes it a good toddler carrier for hot weather, while you can still use it in colder climates as well. If you are looking for one very good versatile carrier, this is the one! It is available in silver, black, pumpkin and stone grey. The Lillebaby CarryOn Airflow is your perfect partner in crime when traveling to warmer climates. It has all the advantages of the All Seasons, except that it’s made completely out of a mesh fabric. This way it provides airflow for both yourself and your toddler. The toddler carrier backpack is available in 5 colors! Check prices and availability here! The Toddler Coast can carry your child from 25 lbs and up. We’re usually not all to fond on recommending a baby carrier that is adjustable from newborn to toddler. It’s great in theory and we’re sure the fabric will be strong enough to support the weight. However, experience taught us that once upper bodies and legs start to grow, our kiddo’s won’t be all that comfortable anymore in a baby carrier. We will make the exception for the Boba X though! Both the seat (8-21″/20-53cm) and the panel body (12-16″/30-40cm) micro-adjusts to fit your child’s body perfectly. On top of that, they thought about the babywearers as well: the carrier comes with a 25-58″ (63.5-147cm) waist belt. This way it will fit just about anybody! An absolutely great feature of the Boba X are the seat extenders, that way even the oldest toddlers will be able to sit comfortably! As is customary for Boba, the designs are to die for. We are absolutely in love with this baby to toddler carrier!! The Integra Solar is the perfect waterproof baby carrier for pool fun or a day at the beach! What is your favorite baby carrier for hot weather? Let us know in the comments! Like this article? Pin it! Haha, you’re very welcome! Which one of the carriers do you use daily? 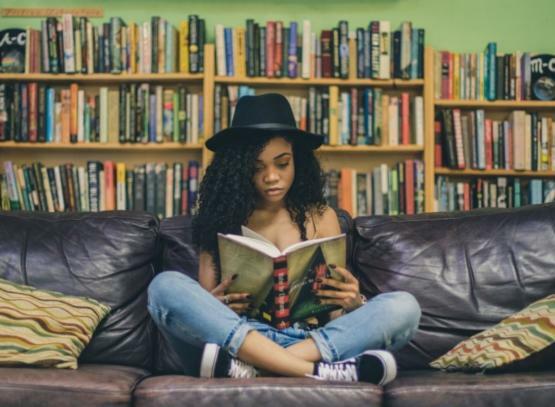 Having children does not mean you have to store away your travel plans. 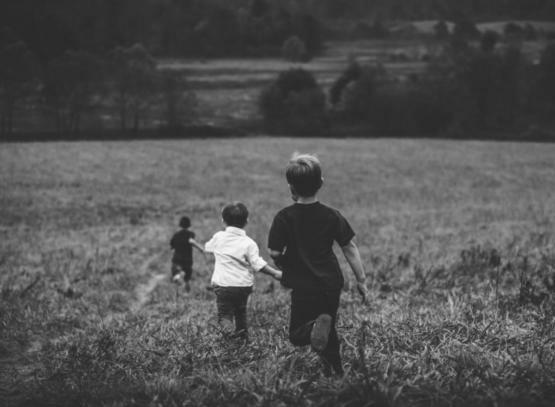 It is not only possible to travel far and away with your kids in tow, but it is fun as well! Especially with a decent preparation and adequate travel gear. So, take a look around and get started on planning that trip! 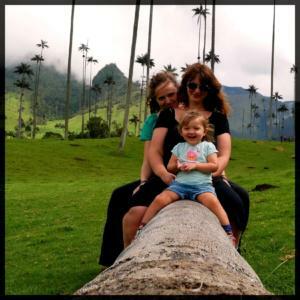 Hi, we are 2 moms and our 3-year old daughter, experiencing the world together. We firmly believe that traveling as a family is a wonderful way to enjoy each other and your surroundings. Our youngest family member enjoys the cold, but both mommies are more keen on warmth and sunshine. We love the ocean, little villages and culture. Travel Gear for Kids is a participant in the Amazon Services LLC Associates Program, an affiliate advertising program designed to provide a means for sites to earn advertising fees by advertising and linking to amazon.com, amazon.co.uk, amazon.ca, amazon.de, amazon.fr, amazon.it and amazon.es. Amazon and the Amazon logo are trademarks of Amazon.com, Inc. or its affiliates.